This fun felt pillow was made for my middle daughter’s room. She has a tweed, rose gold with a little bit of glam theme going on that I think is super cool, so it fit right in with the overall look. 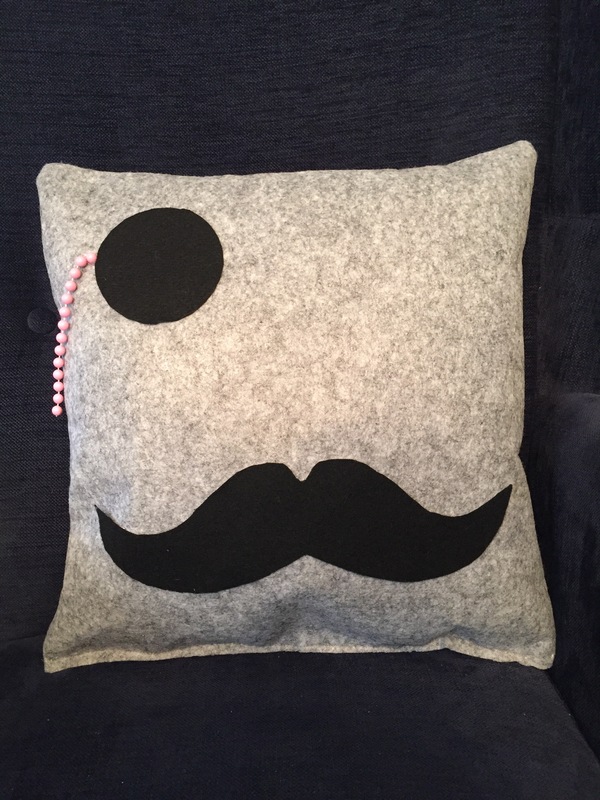 Here is my finished monocle pillow, complete with a girly bead “chain” to hold the monocle in place. 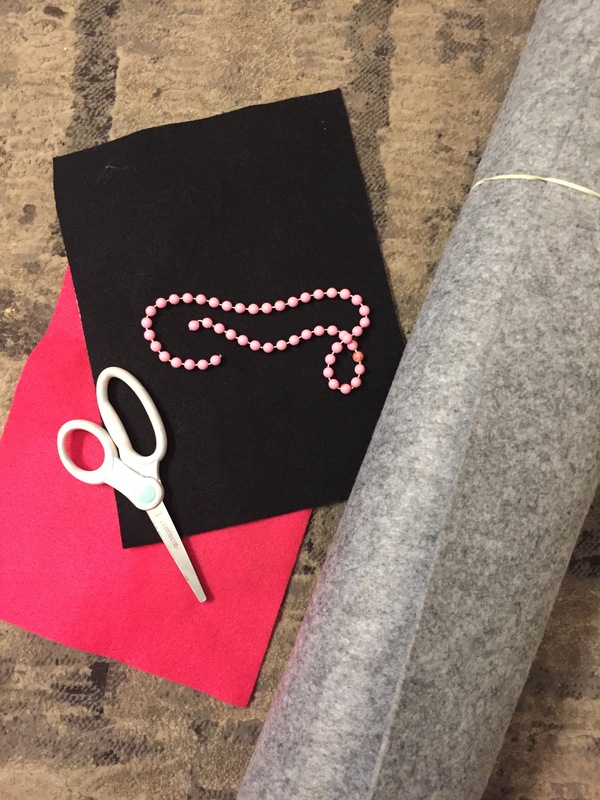 This month for the Create with Me Challenge, the theme was FELT and I had the perfect project in mind. This awesome monthly challenge has readers vote on what materials us bloggers have to use next month in an original DIY or home decor project. 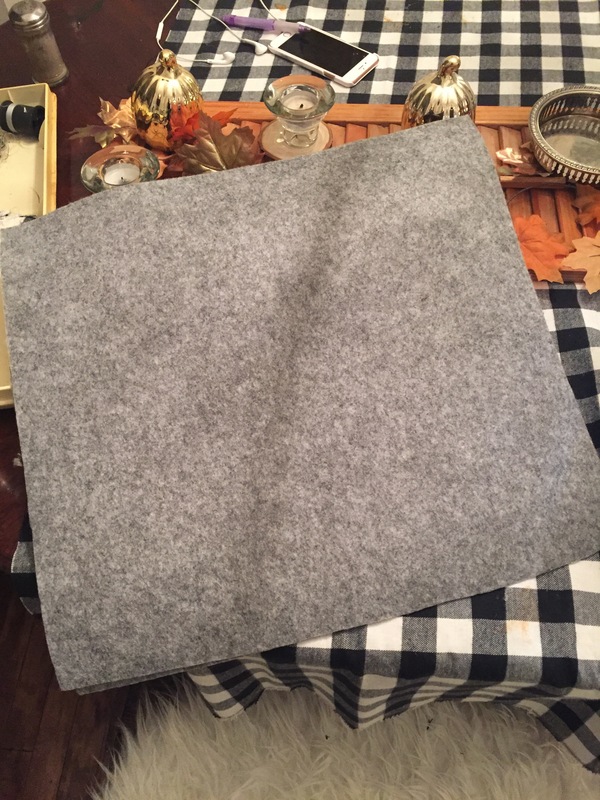 I used a rigid felt that would act as the main fabric for the pillow. I started out by cutting the rigid felt to the size I wanted. 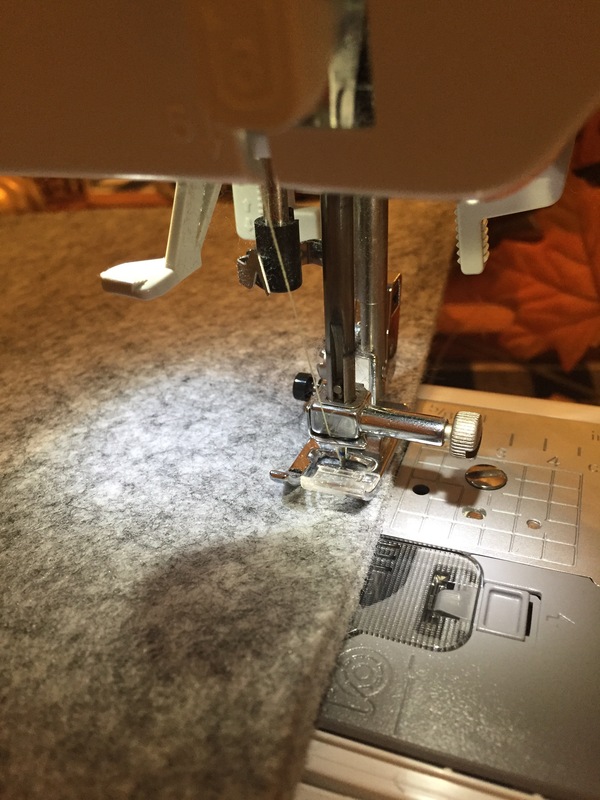 It was surprisingly easy to work with and stayed perfectly in place when I sewed up the edges. 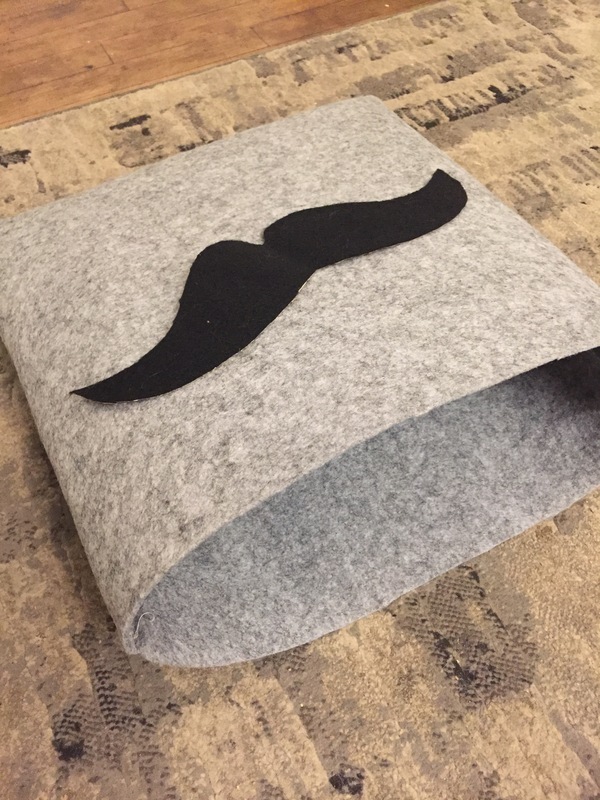 I made the mustache shape by folding the felt in half and drawing half a mustache shape on the back. I loved using this sticky-backed felt, as it was easy to secure it in place. I ended up not using the pink felt at all and stashed it aside for a future project. 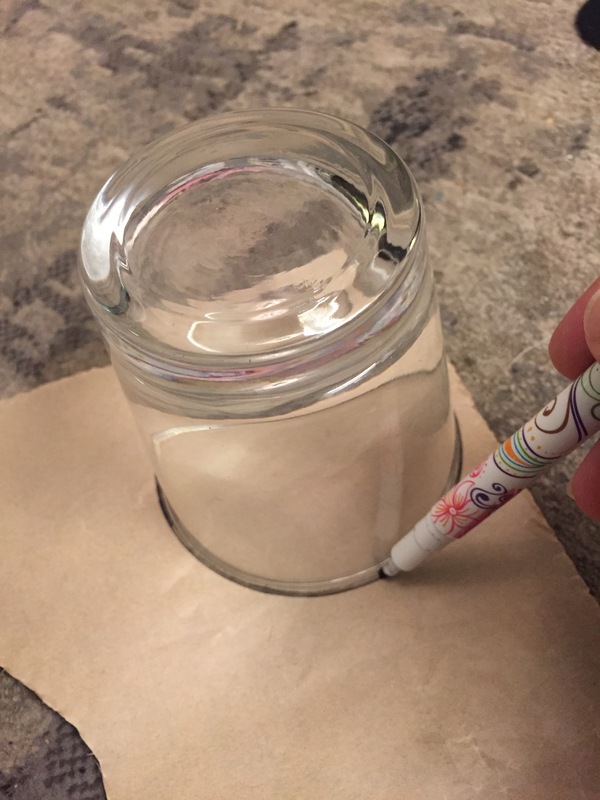 I used a cup to trace the monocle shape and secured that in place. For the last step, I used my hot glue gun to secure the monocle chain in place. I then put an old unused pillow inside and sewed up the bottom. This project probably took about 10-15 min. in total and was one of the easiest sewing projects I’ve ever made. Be sure to check out all the other fun felt projects completed by my blogging friends. So cute and perfect for your daughter’s bedroom! Oh this is so fun!!! What a cute idea! What an adorable pillow Sue! I bet your daughter just loves it!! The little chain is perfect!! Beautiful and very creative. Thanks!